Relationships aren’t always easy. Travel isn’t always easy. Put the two together and there’s always the possibility for disaster! That has been the opposite of my experience. My husband and I met on a tour in New Zealand. He, from Australia and me from New York, we returned to our respective homes after those eight days together and really had no idea if we would ever see each other again. Perhaps it was the universe intervening, but considering, this year we celebrate our seventh wedding anniversary you know how the rest of the story goes. Our four years of dating were punctuated with international travel adventures of no longer than ten days at a time and a few short stints of living on the same soil together. Our honeymoon was a one-year, around the world adventure that included three months of consecutive travel with the first two weeks of it completely on our own. That was more face time than we had ever had in our entire lives and we truly had no idea what to expect. Turns out, we travel quite well together. It isn’t always easy. For some we know, travel seems like the most daunting task imaginable. Worrying of all those things you can’t control, dealing with life outside of your comfort zone, figuring out which outfits you might actually want to wear three weeks from now for consecutive days and dealing with the uncertainty of ‘did I remember everything’ sounds miserable to some. For us, it’s different. Travel gets us out of the everyday norm of chores, responsibilities and the minutiae of life. For us, even laundry and food shopping are far more fun on the road. There’s something about depending on each other, making time for each other while maintaining our individual needs and making compromises so each person gets what he or she needs from the journey. No family expectations, no ‘you HAVE to do it this way’, manageable risks and learning to handle the uncontrollable such as sickness, aches and pains, mood swings, lost luggage and rainy days – this is travel. Merging it with relationships whether romantic or friendship takes both work and risk but can lead to unimaginable return. Stories of adventure keep for decades. Those stories last longer than photo albums and leave a minimal footprint on the planet. Memories of journeys together form a shared history; provide a constant supply of giggles and remember whens and forge familial bonds sometimes even stronger than those of blood relatives. In the end, it’s not only romantic relationships and travel that have their fair share of ups and downs. I had girlfriends that after one adventure (lasting more than a weekend) it led to not only the end of our traveling together but brought on the slow death of our friendship. There are others who after meeting for a minute on the road become friends and future travel partners for a lifetime. And then there’s the pinnacle of travel mates – ones with whom you would feel completely comfortable if they booked the entire holiday knowing that they consider your feelings and needs and leave time for individual exploration and enjoyment – those friends are definitely keepers. These are the ones you call at 3am when you need to smile or a shoulder to lean on. These are the ones who know how to listen and offer encouragement when needed or talk you off the figurative ledge. These are the ones with whom parts of your life is soldered together without needing any unbreakable vow. These are the ones who call you with a moment’s notice and make you remember again why you always have your passport and extra travel bag on hand and ready for adventure. Whether traveling across the globe for years, housesitting for a time period or traveling with your best friend to her top bucket list location – travel and relationships aren’t easy. If we travel well together, to me, it says that our friendship or relationship is strong. We can easily maneuver through the nonsense of taking a wrong turn, not feeling well, indecision in restaurant choice and the ‘we have to go here’ days to get to those filled with out of comfort zone experiences, mind blowing moments and creation of endless memories. On the day the husband and I returned from our one-year honeymoon, we began to plan the next adventure. Since then, there’ve been trips as short as one night and as long as sixty-three, international adventures and camping on local soil, road trips a plenty and a cross country hop. Relationships take work, but if you want it, are willing to work at it and are able to merge it with travel journeys, they are the gifts that keep on giving. Happy travels. 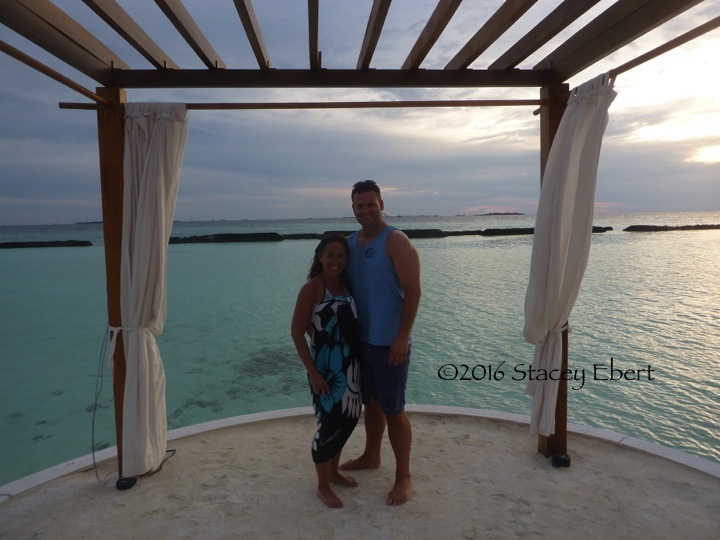 If you’d like to follow Stacey’s adventures, check out her blog.